The KidSafe UK programme of works has a proven track record in the North of England and has been used for many years as an effective age appropriate, non-shattering of innocence safeguarding programme for children in hundreds of Nursery, Infant and Primary schools. Children love the programme and all staff, governors and parents/carers value the impact and the sensitive approach used by KidSafe UK. 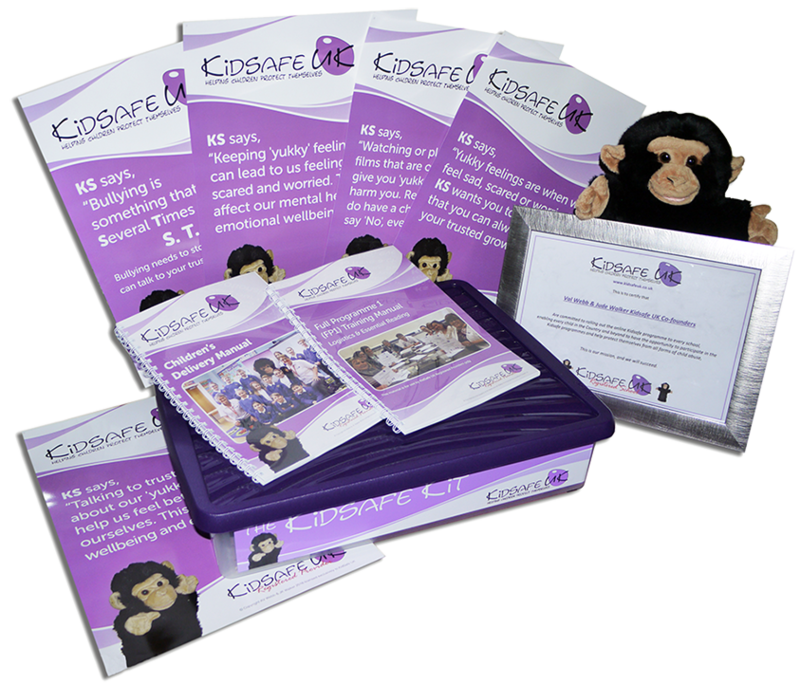 The KidSafe UK Training Kit provides educators with the resources to deliver the full range of KidSafe programmes and the school becomes a KidSafe UK Registered Provider. The KidSafe UK Training Kit equips educators with the skills required to deliver the full range of KidSafe UK programmes. The KidSafe UK programmes are suitable for delivery from EYFS through to Yr 6 and beyond. Video overview and resources required to deliver a low-level Early Years Foundation Stage programme. The EYFS programme meets requirements for PSED early learning goals. Secure Cloud Storage access – if your school/organisation is not allowed to use USB Flash Drives due to Malware concerns then access to the documentation is also provided via our secure cloud storage, where you can view and download all documentation. PowerPoint outlining KidSafe UK programme for use with staff, governors and parents/carers. A unit specifically for Headteachers/SLT to deliver an optional two hour twilight/inset input on how to adopt KidSafe UK as a whole school approach. Watch our video reviews below to see just how effective the The KidSafe UK programmes are, from the perspective of a head teacher, school counsellor, KidSafe UK tutor, safeguarding manager and even the children themselves. Find out from a Safeguarding Manager/Mental health lead how effective the programmes are in their school as an age appropriate whole school approach to safeguard children. Find out more from a KidSafe deliverer/school counsellor how effective the KidSafe UK Programmes are to help with children’s mental health. Find out more from a KidSafe deliverer on how the KidSafe UK programme works in their school, including how much parents/carers value KidSafe and how the programme is an effective tool to help boys in particular to talk about feelings and their emotional wellbeing. Find out why there is such a fundamental need for all children to have KidSafe UK. For existing KidSafe UK Registered schools wishing to know more about the KidSafe UK Training Kit, please contact 015395 34767 to discuss options available.